Despite a recent decline, ransomware is still a serious threat. Here's everything you need to know about ransomware and how it works. Robert Gibbons, CTO at Datto, joins host Steve Ragan to talk about why companies pay out ransoms, the role of incident response plans and continuity strategies, and how companies weigh the risks. Keep your operating system patched and up-to-date to ensure you have fewer vulnerabilities to exploit. Ransomware is big business. There's a lot of money in ransomware, and the market expanded rapidly from the beginning of the decade. In 2017, ransomware resulted in $5 billion in losses, both in terms of ransoms paid and spending and lost time in recovering from attacks. That's up 15 times from 2015. In the first quarter of 2018, just one kind of ransomware software, SamSam, collected a $1 million in ransom money. Some markets are particularly prone to ransomware—and to paying the ransom. Many high-profile ransomware attacks have occurred in hospitals or other medical organizations, which make tempting targets: attackers know that, with lives literally in the balance, these enterprises are more likely to simply pay a relatively low ransom to make a problem go away. It's estimated that 45 percent of ransomware attacks target healthcare orgs, and, conversely, that 85 percent of malware infections at healthcare orgs are ransomware. Another tempting industry? The financial services sector, which is, as Willie Sutton famously remarked, where the money is. It's estimated that 90 percent of financial institutions were targeted by a ransomware attack in 2017. Your anti-malware software won't necessarily protect you. Ransomware is constantly being written and tweaked by its developers, and so its signatures are often not caught by typical anti-virus programs. In fact, as many as 75 percent of companies that fall victim to ransomware were running up-to-date endpoint protection on the infected machines. Ransomware isn't as prevalent as it used to be. If you want a bit of good news, it's this: the number of ransomware attacks, after exploding in the mid '10s, has gone into a decline, though the initial numbers were high enough that it's still. But in the first quarter of 2017, ransomware attacks made up 60 percent of malware payloads; now it's down to 5 percent. What's behind this big dip? In many ways it's an economic decision based on the cybercriminal's currency of choice: bitcoin. Extracting a ransom from a victim has always been hit or miss; they might not decide to pay, or even if they want to, they might not be familiar enough with bitcoin to figure out how to actually do so. As Kaspersky points out, the decline in ransomware has been matched by a rise in so-called cryptomining malware, which infects the victim computer and uses its computing power to create (or mine, in cryptocurrency parlance) bitcoin without the owner knowing. This is a neat route to using someone else's resources to get bitcoin that bypasses most of the difficulties in scoring a ransom, and it has only gotten more attractive as a cyberattack as the price of bitcoin spiked in late 2017. That doesn't mean the threat is over, however. Barkly explains that there are two different kinds of ransomware attackers: "commodity" attacks that try to infect computers indiscriminately by sheer volume and include so-called "ransomware as a service" platforms that criminals can rent; and targeted groups that focus on particularly vulnerable market segments and organizations. You should be on guard if you're in the latter category, no matter if the big ransomware boom has passed. With the price of bitcoin dropping over the course of 2018, the cost-benefit analysis for attackers might shift back. Ultimately, using ransomware or cryptomining malware is a business decision for attackers, says Steve Grobman, chief technology officer at McAfee. 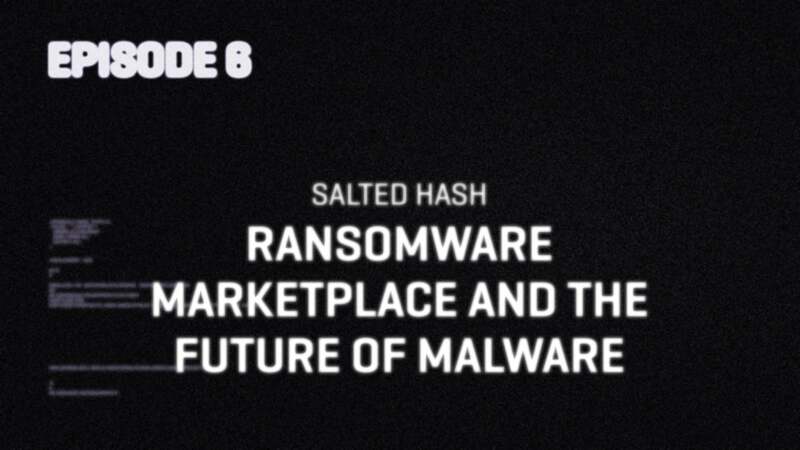 “As cryptocurrency prices drop, it’s natural to see a shift back [to ransomware]." If your system has been infected with malware, and you've lost vital data that you can't restore from backup, should you pay the ransom?